The Finger Lakes region is a living kaleidoscope of cities, small towns and fertile farmlands interspersed with scenic wonders including lakes, streams, forests and waterfalls. When you visit the Finger Lakes and stay at a luxury Finger Lakes rental, you can take full advantage of the many historical sites available to the public. There’s nothing like visiting a place that you’ve read about in books or seen on TV. Going to one or more historical sites while you’re here is more than worthwhile. You’ll have a great time and get a deeper understanding of the historical significance of each place. Seneca Falls is the birthplace of America’s women’s rights movement, and you’ll be able to walk the same streets as your favorite female heroes. This is where smart dedicated women such as Lucretia Mott, Mary M’Clintock and Elizabeth Cady Stanton held the first Women’s Rights Convention. Frederick Douglas attended as well. Visit the National Women’s Hall of Fame to discover the personal histories of each inductee. Tour the Women’s Rights National Historical Park to learn more about the convention. Seneca Falls, NY and then spend the weekend at one of our luxury Skaneateles rentals. Harriet Tubman accomplished a lot in her lifetime. She is recognized for her unwavering dedication and bravery to the cause of freedom. Harriet risked life and limb to usher enslaved people to freedom on the Underground Railroad. During her lifetime she created strong alliances with blacks and whites, and dreamed of a world where people from all backgrounds joined together as one. Her humble home is located in Auburn, NY and tours are conducted Tuesday-Friday 10AM-4PM and Saturday 10AM-3PM. Fans of Corningware Corelle dishes and Pyrex bakeware can visit this unique museum to discover the history behind those popular brands. If you are a fan of beautiful glass objects of any type, the museum is a must see. Explore gallery collections and exhibits, the glass innovation center and watch glassmaking demonstrations. Corning, NY. Racing fans should not miss an opportunity to visit this legendary racetrack where exciting events such as the NASCAR Sprint Cup Series Cheeze-It 355 and the Xfinity Series Zippo 200 take place. The first professional race was held here in 1957. Watkins Glen, NY. As soon as you enter this historic park, you’ll understand why it remains one of the most popular state parks in New York. Walk the hiking trails that take you along winding paths of natural beauty carved out of the earth thousands of years ago. It has picnic areas where you can relax, but you should hike the trail to see the magnificent waterfall that is the highest one you’ll see east of the Rocky Mountains. Ulysses, NY. Looking for places to stay in the Finger Lakes? Take a minute to browse our listings of luxurious Finger Lakes vacation rentals. 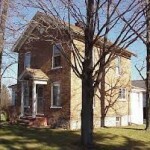 Stay in a cozy local home and live in complete comfort near one of the historic Finger Lakes.